I finally have a skin care routine that I love and have seen a difference. If you have read my previous posts you know that I was not one to take the time to care for my skin. Now I have a soap cleanser and eye cream that I love and now I found a serum that works great! 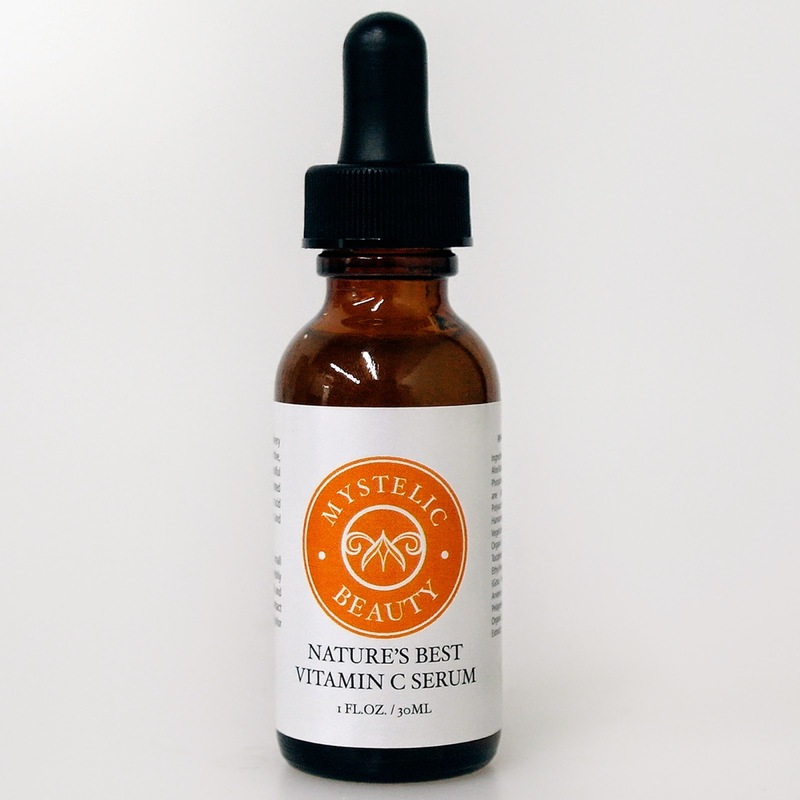 I have been using Natures Best Vitamin C Serum for a couple of weeks now and really love it. It comes in a glass bottle with a dropper. I first noticed that the serum is nice and thick. I put a few drops in my hands and rub them together. Then I pat the serum onto my face taking extra care on my forehead where I have noticed lots of lines. I love how soft it makes my skin feel. The serum dissolves right into your skin without making your face feel oily or sticky. I have also noticed that my face is a lot smoother. My sister just commented on how smooth and soft my skin looks. I told her about the Natures Best Serum and she purchased a bottle for herself. Your tips are very helpful to mommies around the world. Keep it up. Very Helpful. love your post. thanks for sharing your experience with this serum. and i love amazon, so ordering off it is very easy! Vitamin C does a lot of help for our us, most especially our skin. I'm glad that this works for you. It's not easy to find a product that goes well with one's skin. I'm really picky when it comes to skin-care products. My skin has been very dry lately. I love that this helps make skin soft without being oily. How do you use this, do you apply it directly onto your skin, sounds really nice. Thank you for the info. I really didn't know there was a face serum of vitamin c. I like that it's thick. It's something to consider. I didn't know there was face serum of Vitamin C. I'm always looking for new health and beauty tricks. This is awesome. Thanks for this wonderful info. I love using just the nature stuff for my body. I love the nature serum for your aching muscles. Thanks for sharing. This is a nice product for more radiant and soft skin. Definitely checking into this- it's right up my alley! Stopping by to say Hi from the FB Bloggers group. I use a Vitamin C Serum too, going to be writing a post soon for it :-) So truly important for our skin especially aging skin. I love soft skin, so I would give this a try. Thank you for sharing it. I would love to try this I hope someone brings this to Manila. I thought this is something you take by mouth. Very nice, I know Vit C is very important. I would love to try this product. Sounds like a great product! And vitamin C is essential for our health. I love to try this product - plus its VitC - it has to be worth a try! Glad that the product have worked for you! I'm also using a vitamin c cream and it's from GNC. Cheap and effective if I may say. I always wanted to try this, the price is pretty high, but I'm glad it actually works, so it may be worth it. This sounds great. How can you go wrong with vitamin c? It sounds like the perfect serum.